1. Some pastel brush tip pens that will add a splash of colour to your layouts. 2. Get stuck into a Youtube series to help you get started. 3. Get a one-in-a-million pen that makes your handwriting shine. 4. Invest in a geometry set for ultra-precise angles. 5. Use a watercolour palette to add a gentle wash of colour to your pages. 6. Make sure you have the basics too – pencil, rubber and ruler. 7. Try a dotted journal like the Leuchtturm 1917 to help keep everything neat. 8. And a cheaper second notebook to practice in. 9. Try not to get overwhelmed with all the options available – all you really need is a journal and a pen. 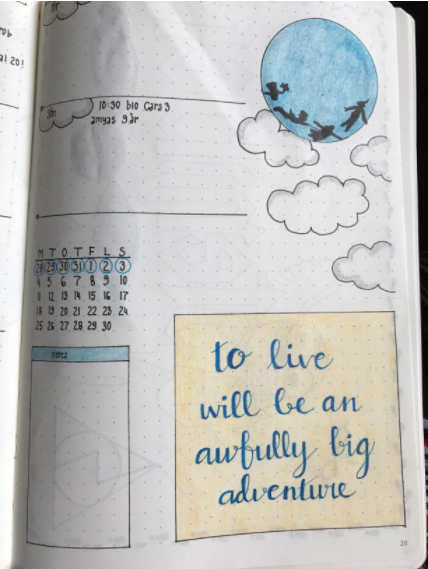 "My bullet journal is somewhere between simple and very artistic: I tried simple and I tried elaborate, and neither worked for me, so I keep it in the middle. My favorite purchases are my pack of 14 PaperMate InkJoy Gel Pens, a slim 6in metal ruler with straight ends (allows me to get my horizontal lines all the way up to the spine of the journal), white out, and a few thin washi tapes. 10. Buy a multipack of washi tape to branch out into decorating on a budget. 11. Try out some cult fineliners to add a pop of colour to your work. 12. A set of black fineliners that you never knew you needed. 13. Some genius erasable highlighters that will save your layout time and time again. 14. 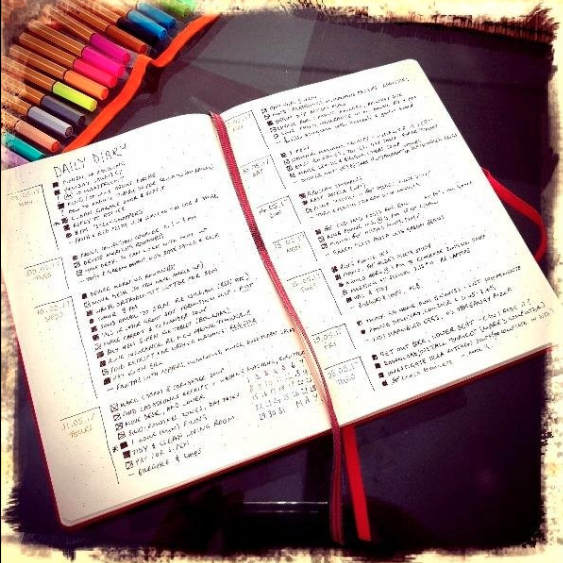 Try a book that will teach you the basics of bullet journalling. 15. Or just follow your heart and add as many stickers as you can handle.